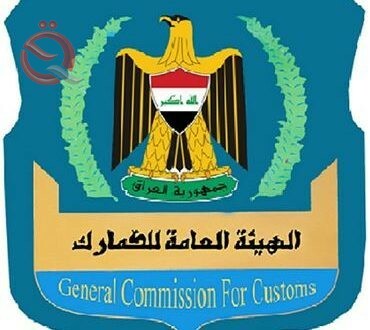 On Friday, the General Customs Authority issued a special statement on the implementation of the Council of Ministers Resolution No. (13) for the year 2019 concerning the standardization of procedures and customs duties at the level of all border ports, pointing out that the date of commencement of standardization of procedures and fees with the Kurdistan region will be effective February 17. The Authority, in a statement read by "Economy News", "The General Authority for Customs and Federal Customs of the Kurdistan region will begin to implement the resolution as of Sunday, 17 February 2019, which is considered an important step to regulate trade and import and export activities," noting that " Customs tariff at all border crossings, including the ports of the Kurdistan region (Pervez Khan, Bashmakh, Ibrahim Khalil, Haj Omran, Erbil airport, Sulaymaniyah airport). The decision also included "the adoption of a unified customs declaration (customs declaration) in Arabic and Kurdish according to the customs law," stressing that "all border ports in the provinces and the region comply with the decisions issued by the Council of Ministers on the protection of national product and agricultural calendar." The decision referred to "the commitment of all border ports in the provinces and the region to implement their part in the international agreements signed between the Republic of Iraq and other countries, especially with regard to customs exemption, and the abolition of the Council of Ministers Resolution No. (186) for the year 2018 on the clearance of containers on the volume of containers and return to the contexts Approved in accordance with the law. " It also included "the abolition of the current customs points in both (Fayda) (Shiroh - north of Kirkuk) and (Lilan - east of Kirkuk)." The Commission affirms that "the decision came to support the private sector through the realization of the principle of fairness in the imposition of fees and to encourage competition between companies on the basis of quality and services in the light of the equal costs among all with the offer that the decision included a significant reduction in imports and the proportion of customs duties of imported goods and goods and the adoption of Unified importation ". The Operational Rates of Exchange listed herein are intended only for the internal record-keeping of the United Nations. No warranty of accuracy can be given and the United Nations shall not assume any responsibility in connection with the present publication of these rates. Please note that a rate with the newest effective date supercedes the previous or current rate. Also, On monthly revisions, all rates, whether or not changed, are listed. However, for mid-month revision, only the changed currencies and rates will be posted. Please check the schedule below for the ad-hoc mid-month revision dates as well as monthly revision. The Operational Rates of Exchange were last updated for the effective date in accordance with the schedule below and thereafter until further notice. The Authority of the border ports, and the presence of the Kurdistan region of Kurdistan, on Friday, the electronic system for customs. A statement issued by the Ports Authority, received the 'orbit' copy of it, that 'the head of the border crossings, Kazem Al-Aqabi, discussed with the Director General and Assistant Director-General General Authority for Customs in the region the subject of electronic system applied in the region has included a full presentation of the electronic system of Customs Territory '. The statement added that the system 'through which the automation of all procedures for the customs process starting from the moment of entry of the portal portal port and until leaving with all the access to access to their data, especially the regulatory authorities. Abizaid said: "Through this, it was found that this system has the ability to issue various reports and prevent agents of customs clearance who does not have official leave from customs can not use this system and thus eliminate the status of comment by the unlicensed of the faithful.